When I was a teen I used to have quite a lot of acne. Now I’m in my twenties and I still have to take really good care of my skin. At the moment I’m not using any skincare products specifically for acne. Though, I have found a couple of tips that keep my skin clear! Don’t touch your face without washing your hands. Your hands touch so many objects during the day that they contain lots of bacteria’s, which you don’t want to transfer to your face. Always remove your makeup before you go to bed. I prefer using an oil cleanser to remove and cleanse my face in the shower. You can also use a damp flannel to remove your makeup after you’ve applied the oil onto your face. Double cleansing really helped keeping my skin clear. After the oil cleanser I use my Foreo Luna and a normal cleanser to cleanse my skin again. Use a cleanser that foams a little when it comes into contact with water. The foam will create a layer between the skin and the Foreo Luna. Use an SPF every single day! Even during the winter your skin is exposed to sun damage. So always wear an SPF of at least 30. Don’t pick your spots! Let masks and other skin care products do its job instead of picking your spots. This will prevent the infection to spread and create more spots. Don’t forget to exfoliate and use a toner every once in a while. At the moment I use the Clinique twice a day 1.0 toner in the evening after I cleansed my skin. I always make sure I use as much hydrating products after this as possible, because I have dry skin. 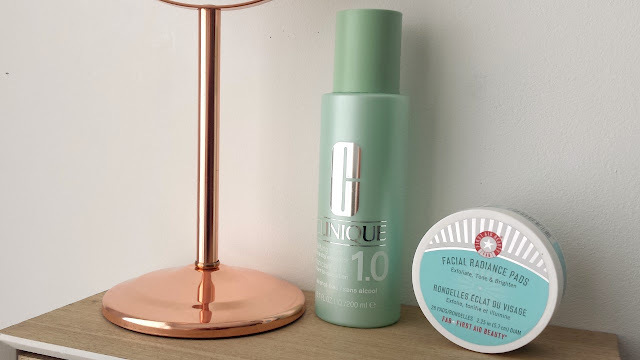 Once a week or during the winter every other week I use the FAB facial radiance pads. This is a chemical “heavy-duty” exfoliator. I found that my skin doesn’t like manual exfoliators like scrubs. Drink enough water every day! This tip has been told in many articles and videos I’ve seen about skin care. Though I didn’t want to leave this one out. 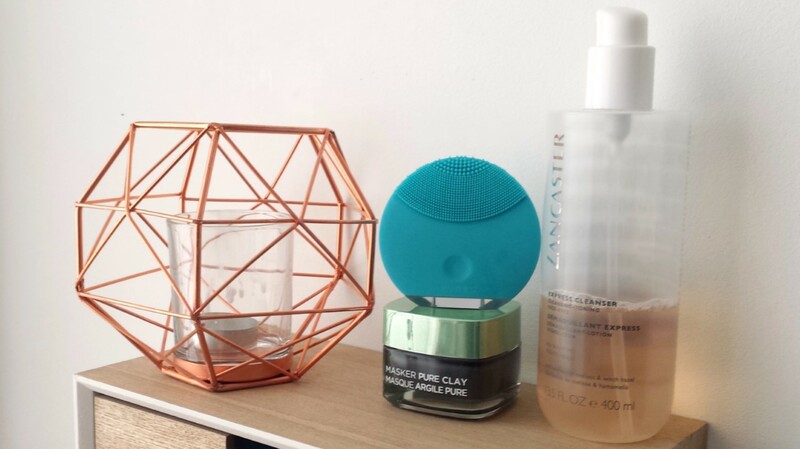 Keeping hydrated all day is really important to keep your skin hydrated, plump and glowy! Use the right products for your skin type. I’ve experienced myself that using heavy-duty products against acne was making my skin dehydrated. Since I’ve been using products that work for my skin type (dry and sensitive) my skin has been a lot more balanced and less prone to acne. This doesn’t mean that you shouldn’t use skin care against acne. Just make sure that you use products that work for your skin! I hope these tips will help you to keep your skin clear. If you have any other tips that work for you please share them in the comments below! And thank you Jordanne from Ofaglasgowgirl to let me write a guest post!